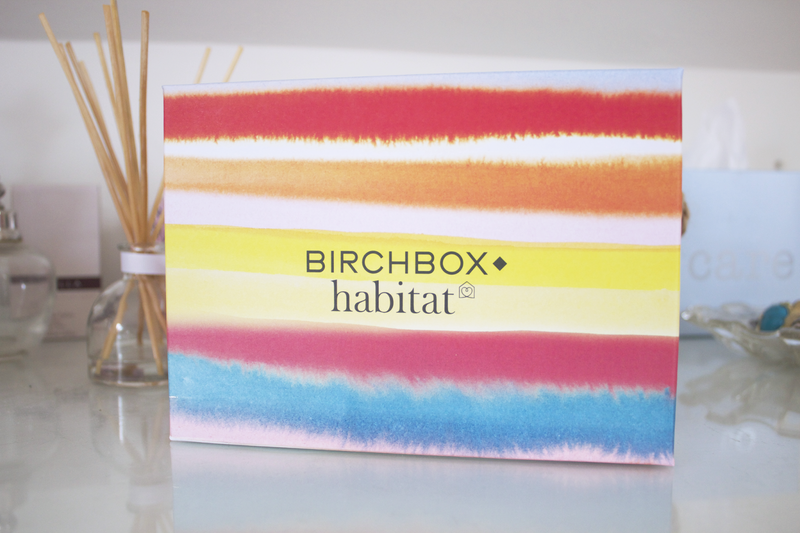 This month's Birchbox is in partnership with Habitat, hence the lovely box! There is also a chance for you to pick which Benefit mascara you would like to try! You can choose between the new Roller Lash (my personal favourite!) which is great for fluttery, feminine lashes! The Bad Gal lash which is perfect for creating dramatic, volumised lashes and the They're Real mascara which makes lashes look ultra defined and give them lots of length! I love the new Roller Lash, if you are undecided you can have a look here to see my thoughts and which one other bloggers love! 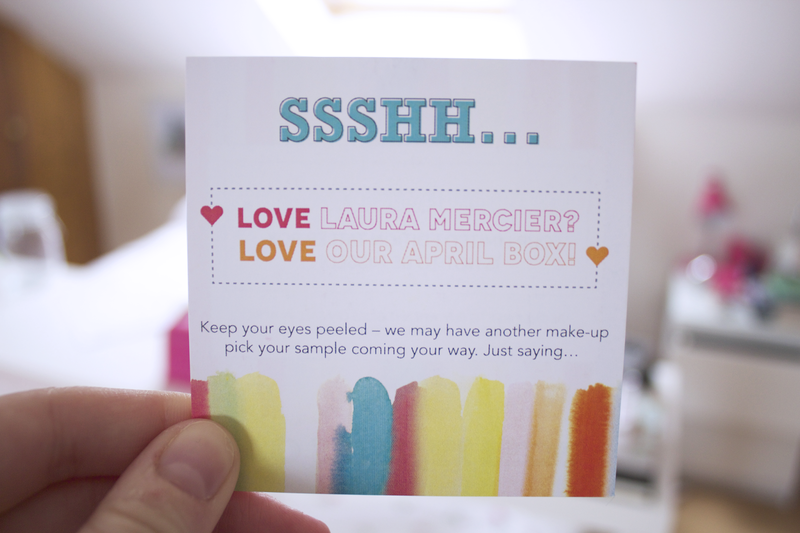 I think there is a good mix of different things this month which is nice, as mentioned, I love the mascara and was so glad to have it in my box as I had used up my previous sample of it! The Catherine Malandrino perfume is lovely! Such a sophisticated scent that lasts all day, I really love it! 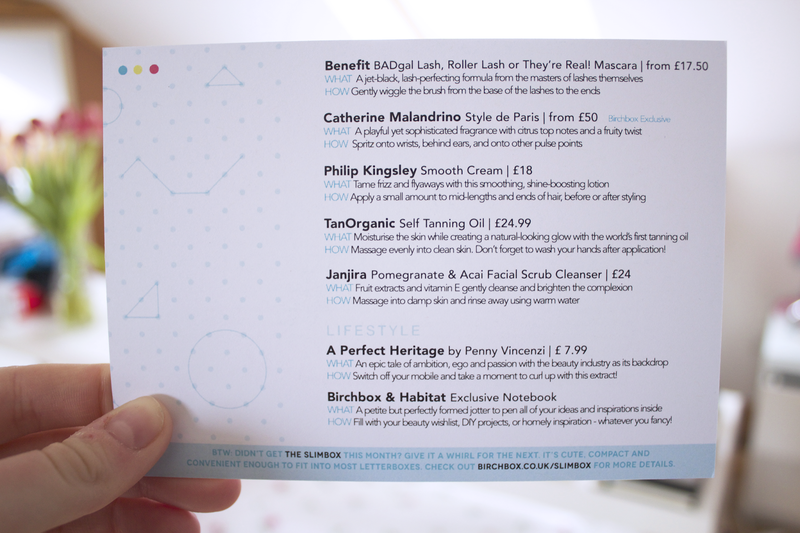 You also receive a little notepad (not pictured) which I think is great for taking on the go and writing down blog posts ideas as it doesn't take up too much space in my bag!